Dance India is a unique week-long intensive training programme in Indian classical dance. Dance India has widely been regarded as a one-of-kind experience in the world for offering participants a holistic training in all aspects of dance including skills development, abhinaya, yoga / fitness, music, career development and performance too. 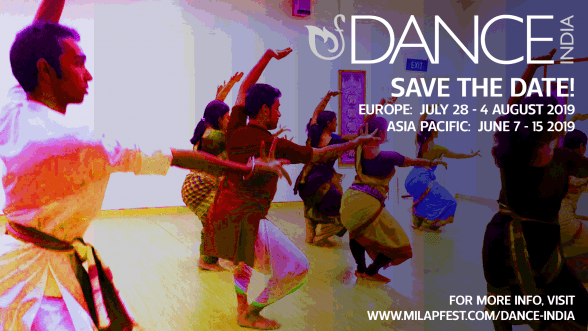 Perhaps the most cherished aspect of Dance India is the incredible opportunity it offers students outside of India to spend a week with and learn from India’s most highly acclaimed Gurus, performers and practitioners.